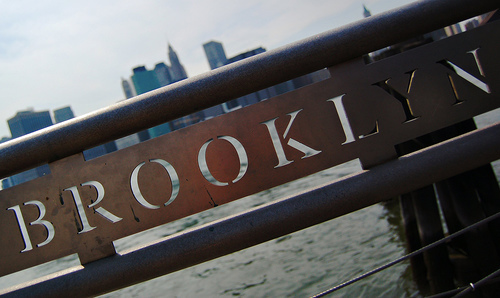 Special Thanks to David Minder who provides all of the original Brooklyn photography for the site. i motion to add “pictures of cruelty” to the dislikes category. Hey dude thanks for the mentions– Summer on the Hudson.. and oh yeah by the way. It’s not your Grandfather’s Accordion Festival!! Please join us! This crowd needs diversity. There is no evidence of iconoclastic, conservative thought on this site. I can be persuaded to contribute countless pearls of traditional wisdom in these trying times. “In this present crisis, government is not the solution to our problem; government is the problem.” Keep that in mind while Pelosi Inc. lead this great country astray . . . . Sorry, daylight savings threw it off. Don’t you have better things to do with your time, Greg? Haha. Now it’s fixed, I think. Should I expect Michael Shermer to contribute to this blog under some extremely clever handle? For full election coverage on Feb. 5, visit WNBC.com at 9 p.m. for live streaming video that will feature WNBC anchors, reporters and analysts bringing you the latest developments on Super Tuesday. In addition to the Webcast, WNBC.com will be hosting a live chat for viewers throughout the area. By simply logging in, you’ll be able to weigh in on the political scene, converse with other viewers and even send in questions that might be answered on the air! During the Webcast, WNBC.com will be updating with the exact number of votes cast for each candidate as results flow in from polling places in New York, New Jersey and Connecticut. The Webcast will be followed by “NewsChannel 4 at 11,” where anchors Chuck Scarborough and Sue Simmons will take you through a wrap-up of the night’s events. We hope you join us on election night!